"LIVING MORE TO THE IMAGINATION"
No matter the surface, Platia's limits have no end. From Motorcycle helmets, and tins, to wood and people. No surface is off limits for this versatile Artist. 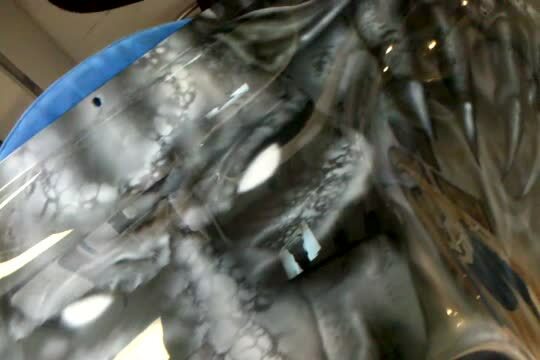 From Airbrush, watercolor, even charcoal on wood surfaces, Platia has mastered their application process. To inquire about a custom painted piece for yourself or client. Please contact Platia directly on the contact page for pricing and details. Platia has been commissioned to not only do bodypainting and wire framed paper gowns for such venues as the Philadelphia Museum of Art, but also the National Constitution Center. Even recently commissioned to custom paint 1000 trash receptacles for the City of Philadelphia for a city wide event. No job is to small or large. Watch video of the full Dyna below. Custom Paint work by Joe Platia. Harley Davidson, Rocker C., Theme- "7 Deadly Sins"
Watch video of the full Rocker C below. 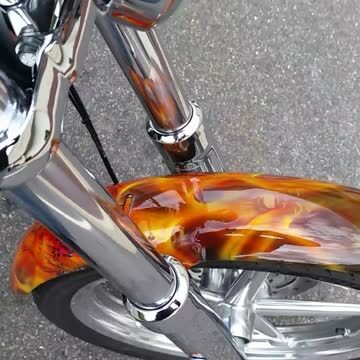 Custom Paint by Joe Platia. Harley Davidson, Street Glide. 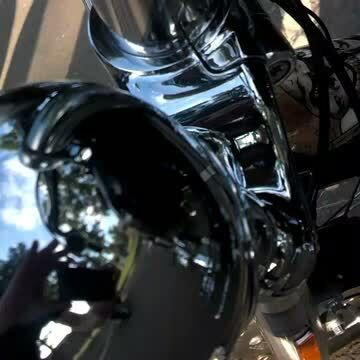 Theme- "My Ex's"
Watch video of the full Street Glide below. 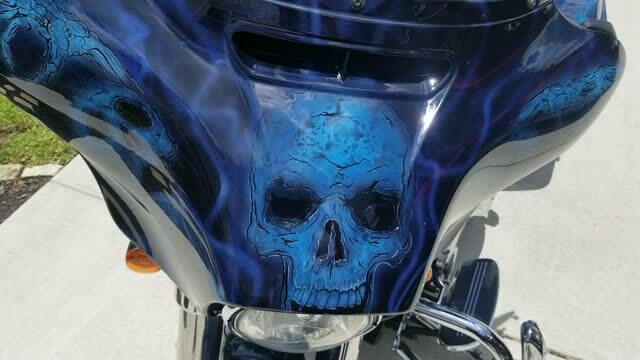 Custom Paint by Joe Platia. Harley Davidson Street Glide.